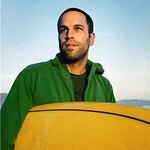 As part of the From Here To Now To You Tour, Jack Johnson's All At Once Campaign is once again collaborating with hand-chosen community groups worldwide to support sustainable local food systems and plastic free initiatives. The Johnson Ohana Charitable Foundation will match donations to the All At Once Non-Profit Partners for this tour, up to a total of $2,500 (US) per group. In North America, All At Once comes to life at the shows in the Village Green, where concert-goers connect with local non-profits, take environmental action, capture environmental commitment photos, and enter to win a chance to watch Jack’s performance from the stage. As part of the 2013 run of the From Here To Now To You tour Jack’s All At Once Community collaborated with over 90 community groups across Europe, North America, Australia and New Zealand. At the shows and online, fans were able to engage with these All At Once Non-Profit Partners doing good work in their communities. Fans made personal pledges to take action in support of plastic free initiatives and sustainable local food systems through the Capture Your Commitment campaign. Jack, his fans, band and touring crew along with venue operators were successful in minimizing the environmental impact of the tour. Check out the All At Once 2013 Impact Results here.